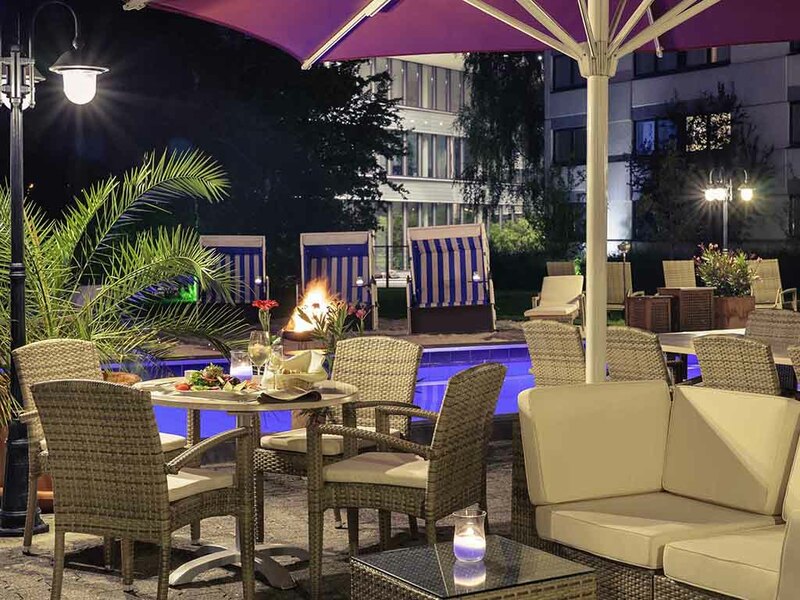 The 4-star Mercure Hotel Frankfurt Eschborn East has 224 rooms with free Wi-Fi overlooking Frankfurt skyline. The spacious meeting area of our hotel comprises eleven rooms and is suitable for events with up to 220 attendants. On arrival by train, go to Frankfurt main station and by S-Bahn to Eschborn South. We have shuttle bus from Mon - Fri. A5 and A66 exits are 900 metres away from the hotel. Situated right on Frankfurt's city border, Eschborn is one of Frankfurt's metropolitan regions. The city has also become a strong business location in recent years, winning over companies such as the Deutsche Börse and Samsung. Our spacious "Big Ebbel" restaurant specializes in regional dishes and international cuisine, which you are also welcome to enjoy on our terrace. We're open from 6.30am until 2.30pm and from 6pm until 11pm. The Skyline bar at the Mercure Frankfurt Eschborn Ost hotel is known for its sophisticated cocktails in cozy surroundings - the perfect place to enjoy the evening after a successful day. We are open all day from 6:30AM to 1AM. Our "Beach Bar" is a popular meeting place on fine summer days when we hold open-air barbecues starting at 5pm. This is an unmissable event if you are staying with us.